Right now in music, I’ve been listening to Usher’s latest. “Climax” and “Scream” are already proving to be some of the top songs in Usher’s career, if not best ever in my opinion. His voice has changed so much that myself and others have even questioned who the singer was! His high vocal range and blend from low to high notes are flawless. I like the new hairdo. I wish his style would change. I would think Usher would be an even bigger star if he knew how to evolve into different styles as his predecessor, Michael Jackson has done in his music videos. Usher just has the same shades, jacket and ripped arms… which are fine, but I really believe he has potential to be an even bigger star if he just took that EXTRA step into evolving into different looks and styles to stay current and fresh. Here’s a look at “Scream” from SNL, a great enough music video IMHO. I’ve also taken a step back in time, to 90s dance and 80s Pop. Listening to Belinda Carlisle’s “Heaven on Earth” and Don Henley’s “Boys of Summer” along with Everything But the Girl’s “Missing”. Ah, these songs make me happy and still are fun. What happens when two Pop Boy Idols come together to make a music video? 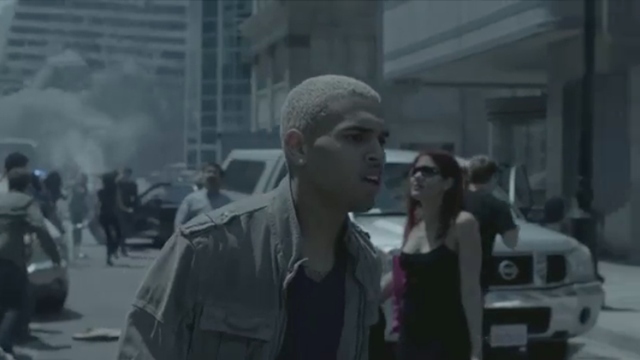 In this mini Armageddon movie, Chris Brown comes back as a blond with Justin Bieber in tow. They each have their love interests, and declare their undying love. I think this is an excellent collaboration. Brown and Bieber’s voices compliment each other. Bieber’s high voice against Brown’s sultry voice combines together quite well. They should consider a boy band or more collaborations together. Chris Brown shows off his latest dance moves, a la Michael Jackson. He definitely has Michael Jackson as an influence, he also executes the Usher glide flawlessly. In the end, I believe he is wacking. Wacking is a type of dance movie, I believe, correct me if I’m wrong if he’s doing another type of dance move. Wacking is an eccentric New York style of dance, that is a combination of Voguing and it almost looks like you’re dancing off beat, but you’re not. Bieber doesn’t dance, which is a shame, because I think Usher has taught him some moves, so Bieber and Brown should have danced together a little more. I think teenage girls all over the nation are freaking out over this video. Personally, I like the song a lot. Kind of reminds me of the Backstreet Boy days I grew up in as a teenager (yes, I’m feeling quite old now). As for Brown’s career, he has been making a comeback with songs like “Deuces” and “YeahX3”. I think “Next to You” will be one of his biggest comeback songs. Pairing with Bieber is a very smart move. Although, I still can’t get that picture of bruised Rihanna out of my head when I think of Chris Brown, I think he needs to work a bit more to completely win the public back. I feel like both of these artists are just on the cusp of their prime. Bieber is growing up, very noticably in this music video. He’s taller, face is leaner. He really has a long musical career ahead of him if he’s smart and continues to grow as an artist. Brown’s voice and dance moves continue to impress, and I think the difficulties he’s had in life might push him to be an even better artist. I think these two will really blow up in the next five years, again, if they both play their cards right and continue blossoming as artists. I first heard of Miguel when I went to the Viper Room last year to watch BMI’s The Next Fresh Thing, a showcase of new acts. I went to see Krys Ivory, I heard of her from an indie record label internship that I was in when I first moved to LA, and the event was hosted by BMI, so I thought I would go. When I first got into the Viper Room, Miguel was performing. The whole place was packed and he was killing it. I haven’t seen a performer so top notch like that in a while, and still haven’t since. He was dancing, singing on point and had amazing charisma. After the set, I talked to him for a minute, telling him that he convinced me to be a fan, he was very nice to me. Not only was he a fabulous performer, but a genuinely nice person. I followed his career since, and he has performed at festivals, worked with Usher and continues to get bigger. 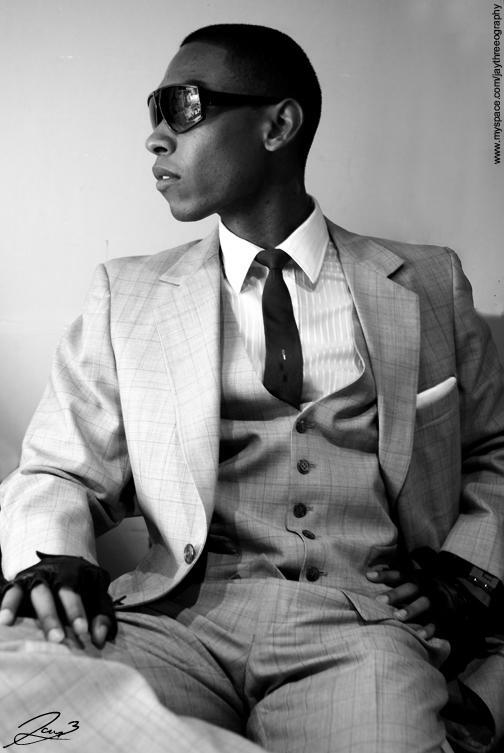 His single is a slow jam, but live, he is extremely energetic, and is definitely worth seeing live.